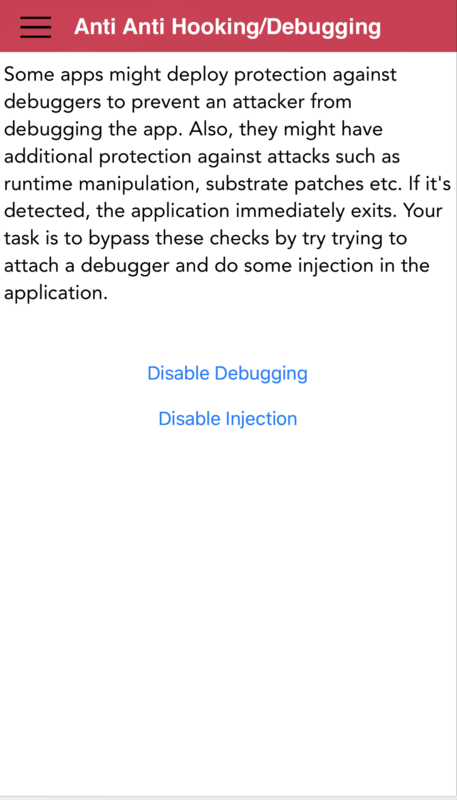 Damn Vulnerable iOS App (DVIA) is an iOS application that is damn vulnerable. 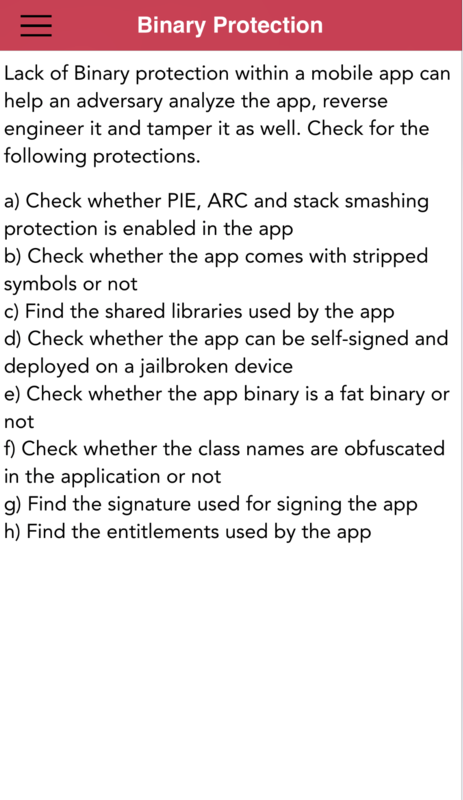 Its main goal is to provide a platform to mobile security enthusiasts/professionals or students to test their iOS penetration testing skills in a legal environment. This project is developed and maintained by @prateekg147. The vulnerabilities and solutions covered in this app are tested up to iOS 11. 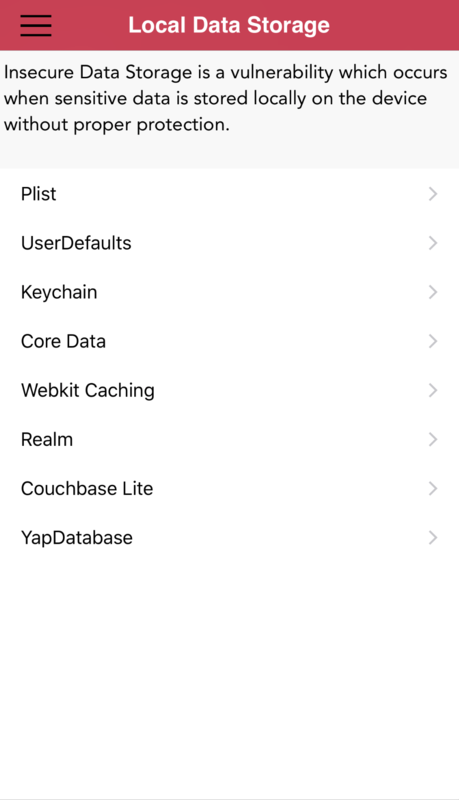 DVIA is free and open source and it has both a Swift and Objective-C version which can be downloaded from here. Follow this link to get started. All these vulnerabilities have been tested up to iOS 11. 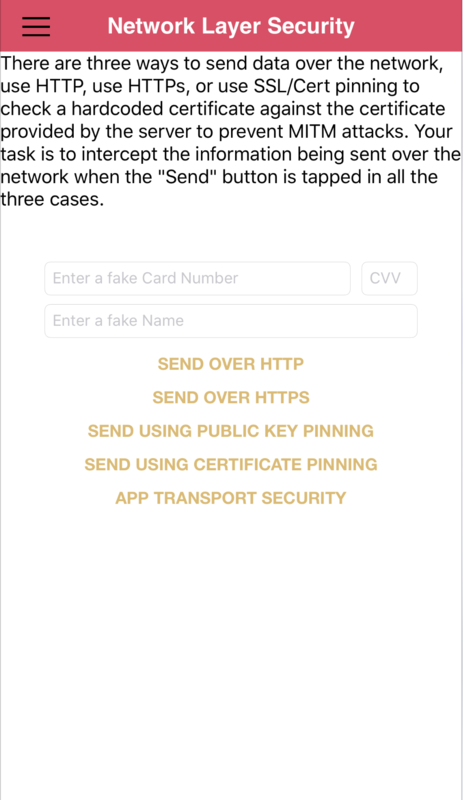 Here is a tutorial on how to get started with Damn Vulnerable iOS App. I have the following trainings scheduled for 2019. Please feel free to get in touch via the contact form below for any private queries regarding trainings. 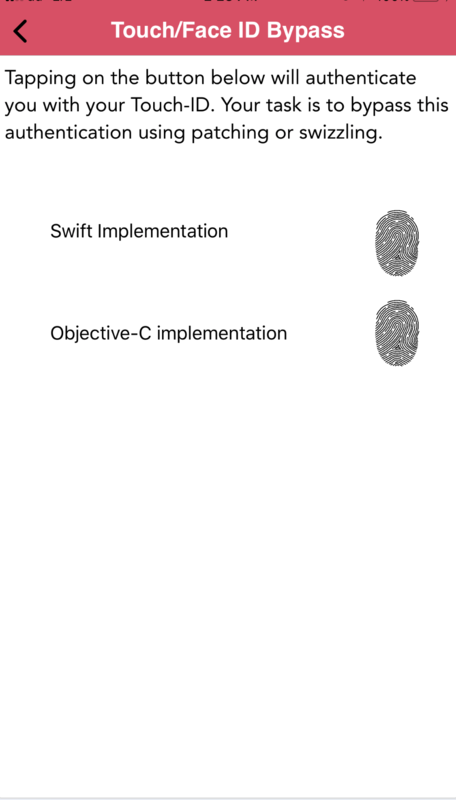 Currently, the solutions are only available for the Objective-C version of the app which can be downloaded from here. 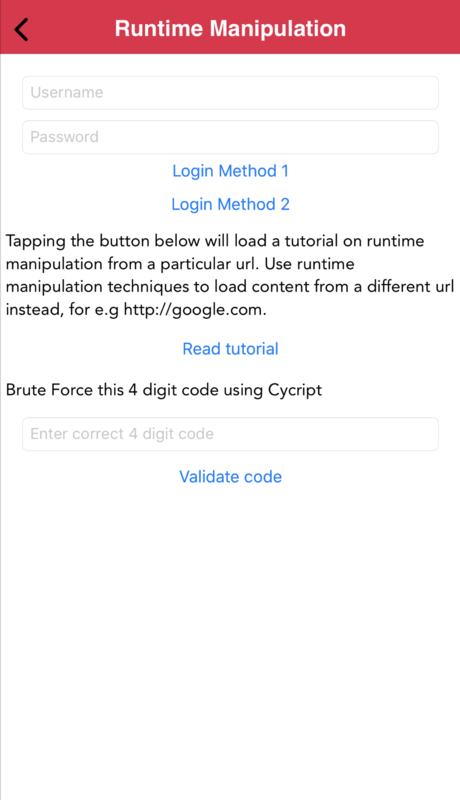 Make sure to read this for instructions on how to install the app on any device (jailbroken or not jailbroken), and how to compile the app with Xcode. This version will only work on iOS 10 or later devices, older versions of iOS are not supported. This version supports 64 bit devices only. 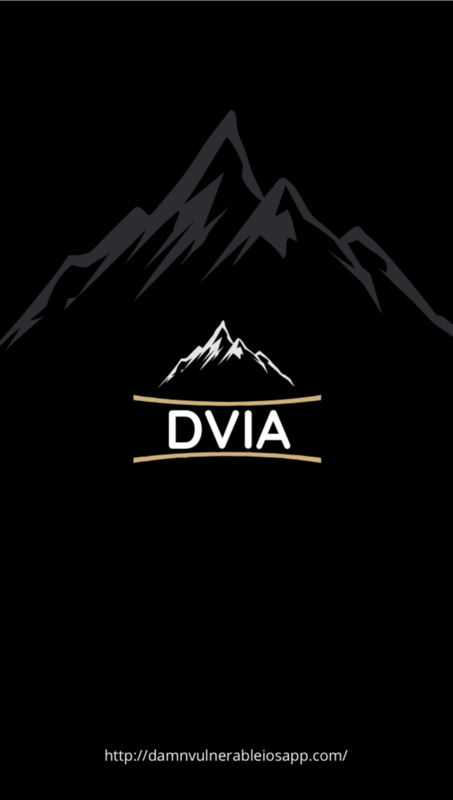 Make sure to read this post on how to get started with using DVIA. This version will only work on iOS 8 or later devices, older versions of iOS are not supported. DVIA supports both 32 and 64 bit devices as well. ask a question on Twitter or Stack overflow with the hashtag #DVIA or fill the form below.